Glaucoma can cause vision loss and blindness that can’t be reversed. A glaucoma is a group of eye diseases that damage the optic nerve, which affects your vision since the optic nerve sends visual images to your brain. You can save your vision with early detection and treatment of glaucoma. There is only one way to know if you have glaucoma. Getting a comprehensive dilated eye exam is the only way to find out if you have glaucoma. During the exam, an eye care professional places drop in your eyes to widen the pupils and look for signs of the disease in the optic nerve. There are no early symptoms. Glaucoma often has no early warning signs. No pain. No discomfort. No blurry vision. Advanced glaucoma will affect your vision, but you shouldn’t wait for symptoms to visit your eye doctor! In the United States, half of the people who have glaucoma don’t know they have it. 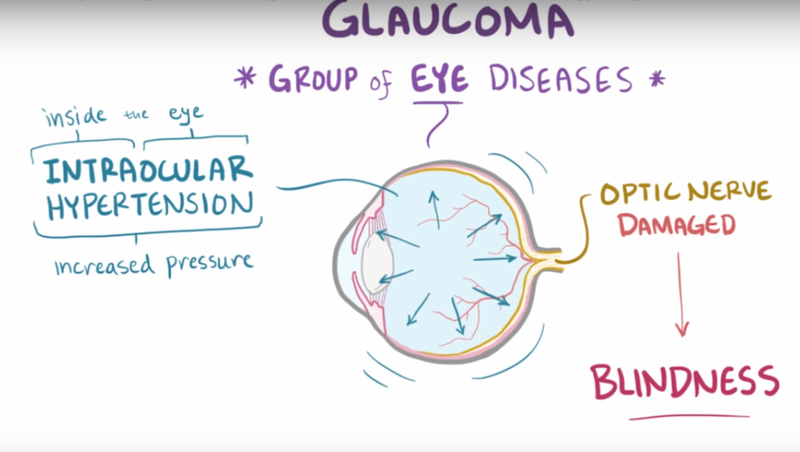 Nearly 3 million Americans have glaucoma, and half don’t know it. Lack of awareness and lack of symptoms prevent people from getting the disease diagnosed early. You can change that! Find out if you have glaucoma by visiting an eye doctor. Some people are at higher risk than others. African-Americans over 40, adults over 60 (especially Latinos), and people with a family history of glaucoma are at higher risk. That makes early detection important. Are you at higher risk? Find out by talking to your family to find out if anyone has had glaucoma. Now that you’ve got the facts about glaucoma, make a resolution for healthier vision. Schedule a comprehensive dilated eye exam today! And encourage your friends and loved ones to do the same.